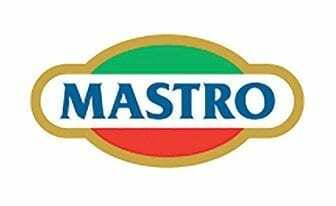 Our Nicastro Brand products are carefully selected to represent the most authentic and best quality Italian products. We guarantee you will get the best quality and value when you purchase a Nicastro Brand product. 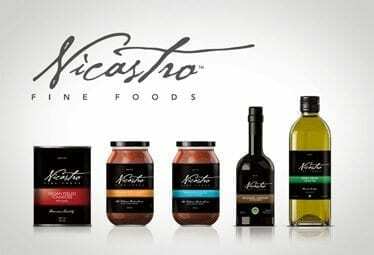 Nicastro Brand Products are available at Nicastro’s on Merivale Road and La Bottega in the Byward Market. Cooking great food is easy, as long as you have the right ingredients. At Nicastro’s we pride ourselves with having one of the best selections of Italian and other Gourmet foods in Canada. Here is only a sample of some of the fine imported specialty foods you will find. You must visit our store to appreciate the vast assortment of products available. Olive oil is an edible fat which can be extracted from the fruit of the olive tree. It is a thick liquid with a distinct taste and smell and a colour which varies from pale straw yellow to dark green. We guarantee you will find the best selection of Olive Oil at Nicastro’s. We sell over 150 varieties and import many ourselves. The majority of olive oils we sell are Extra Virgin Olive Oils. This is a virgin olive with an acidity level of less than 1 %. It is usually processed from the first pressing of healthy olives and is most valued for its organoleptic and dietetic characteristics. The quality of the other olive oils decreases as does their selling price. We are the exclusive North American importer of Antico Frantoio Ravagni Tuscan Estate Olive Oils. This high end oil is available in limited quantity and has received rave reviews for many food critics and chefs. It has become Nicastro’s best selling estate olive oil. 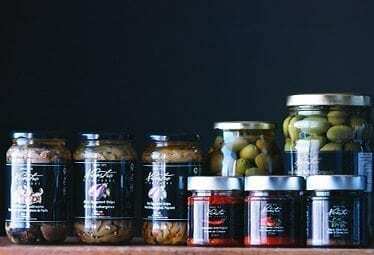 Some of the major brands we sell include: Antico Frantoio Ravagni(Tuscan), Olio Carli, Campo Di Torri, Oro Di Cleto, San Giuliano, Manfredi and Mastro and just to name a few. Balsamic Vinegar originated in the city of Modena, Italy and is obtained through a long, slow process of transformation starting from the concentrated grape must. 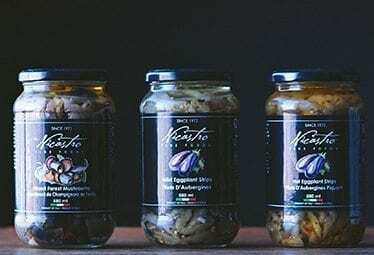 It is mainly used to flavour fresh salads and boiled vegetables, together with olive oil, a combination which creates pleasant and appetizing tastes. The most expensive Balsamic Vinegar is usually the one which has undergone the longest ageing process according to the trational method. At Nicastro’s you will find both the “Extra Vecchio” aged at least 25 years and the “Vecchio” aged 12 years, both with Protection Concortia emblem guaranteeing authenticity. We carry approximately 100 brands of Balsamic Vinegar starting at $1.99 to $249.99 a bottle. Some of the more popular brands include Fini, Pici, Bellei, DeNigris, Elsa and Nicastro to name a few. Pasta is produced with two basic ingredients, durum wheat and water, this regular pasta meets the demands of most consumers, and is the most sought after at Nicastro’s. 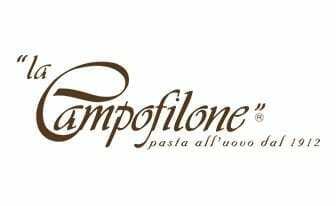 Additional flavoured pasta’s include: “Pasta all’Uovo” (egg pasta), “Pasta Verde” (green spinach pasta), “Pasta Rossa” (red tomato pasta), and “Pasta Integrale” (whole wheat pasta). Some of the shapes of pasta you will find at Nicastro’s include: Spaghetti, Vermicelli, Bucatini, Fettucine, Lasagna, Canelloni, Farfalle, Fusilli, Pene, Stelline, Orzo, Capelli D’angelo and many more. Some of the brands of pasta at Nicastro’s include: Nicastro’s very own brand, Garofalo, DeCecco, Gigi, Aurora, Molisana and many more. Espresso is Italy’s version of coffee. The process for making espresso is relatively fast and can be made at home with an espresso maker. Italy consumes well over 1 billion pounds of coffee a year, and has made Italian espresso one of the most popular beverages in the world. At Nicastro’s you will find all of Italy’s best brands of Espresso Coffee’s: Lavazza, Illy, Kimbo, Saquella, Mauro, and many more. Espresso coffee can be purchased in ground or bean form, in regular or decaffeinated or many other roasts. When shopping for espresso coffee visit Nicastro’s coffee bar for a delicious espresso or other coffee. Visit our store for our huge selection of Specialty Cookies and Cakes! 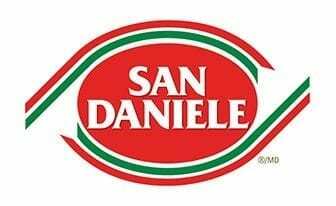 Find anything from amaretti cookies to savoiardi for making tiramisu! We also have a wide assortment of cookies. The perfect place to make your antipasto plate the Olive Bar! 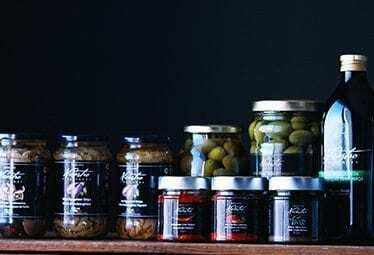 Such favourites as Kalamata olives, Nicoise olives, Green cracked, Infornate sun dried olives, Grilled Artichokes, pickled peppers, spicy eggplant, Sicilian spiced olives and so many more. Mouth watering specialties and deli meats with that authentic Italian flair can only be found at Nicastro’s deli counter. We carry a full line of Italian deli meats, including Italian dry sausages, Prosciutto, Salami, Sopressa and more. You’ll also find other cold cut favourites such as Oven Roasted Turkey, Black Forest ham and Smoked meat. Don’t forget we always slice your meats fresh on the spot (never pre-sliced), just the way you like it. 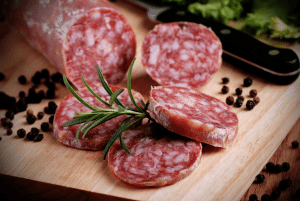 GENOVA salami has a special blend of natural spices combined with choice cuts of lean pork to create a salami with distinct flavour and richness. SOPPRESSATA is a flat dry cured salami, slightly smoked, this aromatic sausage originated in Calabria, in Southern Italy, about 500 years ago. AL PROSCIUTTO salami is a mix of Genova salami and chunks of cured prosciutto. Slightly seasoned the two meats make a perfect combination. CALABRESE salami is similar to Genova except that it has hot spices to give it a spicy taste. SALAMETTI are baby salami chubs sold in a piece. Flavours include Genova, Calabrese, Veneto, and Friulano. Great for picnics and camping. Other salami’s available are Hungarian, Mustard Seed, German, Gypsy, Wine, Veneto, Friulano and more. Parma is a city famous for its culture and for gastronomy. It is located in the heart of Regione Emilia Romagna, at the foot of the Apennine mountains, and it is constantly exposed to a dry, pure air which creates unique and ideal conditions for the natural drying of prosciutto. PROSCIUTTO DI PARMA is one of the world’s greatest delicacies. The meat (pork thigh) is pressed, seasoned, salt-cured and air dried. It is usually sold in thin slices. Prosciutto is best eaten as is and is a classic first course when served with melon, figs, or bocconcini. It can also be added at the last minute to cooked foods such as pasta or vegetables. Nicastro’s was the first store in Ottawa to sell the Original Prosciutto from Italy, and it is now our best selling deli meat. BRESAOLA is an air dried top quality beef. Also sliced very thin it can be used the same as Prosciutto or in a carpaccio dish. PANCETTA is an Italian bacon that is cured with salt and spices. Flavourful, slightly salty pancetta comes in a sausage like roll. It is used in Italian cooking to flavour sauces, pasta dishes, vegetables and meats. SERRANO HAM from Spain is now available in Canada and can be found exclusively in Ottawa at Nicastro’s. Similar to Italian prosciutto it is more meatier and rustic tasting. 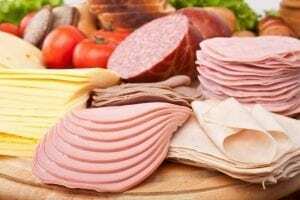 MORTADELLA originated in Bologna, Italy, and is the original from which the slang name “baloney” came. It is made with ground beef and pork, cubes of pork fat, and Italian seasoning. PROSCIUTTO COTTO HAM is made from the finest quality Canadian grain-fed pork. That means no excess fat and no tough muscles. All you get is a delicious cooked ham. CAPICOLLO (HOT OR MILD) is hand made from only the very best cuts of pork that is lightly seasoned and naturally slow aged to bring out the full flavour and aroma. SMOKED MEAT (PASTRAMI) Montréal style beef smoked to perfection. It is usually served hot or cold, in a sandwich on our Rideau Bakery Rye bread. PORCHETTA is oven roasted pork. Seasoned in an assortment of flavours such a rosemary, black pepper, and spicy. Other specialty meats include Oven Roasted Turkey Breast, Black Forest Smoked Ham, Rosemary Ham, Pepperoni, Roast Beef and more. Nicastro’s cheese department imports and sells cheese from all over the world. On average we have over 200 types of cheese to choose from. We sell over a ton of cheese a week. That’s a lot of cheese! Wrinkled and moldy, smooth and sunshine yellow, orange and smelly or brilliant white, you’re sure to find a cheese to your liking. You will find different shapes and sizes, flavours and texture ranges from the sublime to the truly extraordinary. Below are few examples of the many cheeses available in store. Nicastro’s has the largest selection of Italian cheeses in Ottawa. Here are some of the most popular hard/aged cheeses. PARMIGIANO REGGIANO is sold in large, rough, grainy chunks chiseled from the shiny drum that carries its name emblazoned on the rind. The aroma is sweet and fruity, the color fresh yellow and the taste exquisite-fruity, strong and rich. Used as a table cheese, for grating, in sauces and salads, over pasta and risotto. In our opinion it is one of the finest cheeses in the world. PECORINO-ROMANO is the name for cheeses made from pure sheep’s milk. It’s characteristic flavour – salty, with a fruity tang that becomes steadily more robust. It is moist, yet granular and it is a superb grating cheese, on pasta. PROVOLONE usually reflects the shape and size of this cheese. It is generally a picante table cheese, but also comes in a milder version. It is also popular for grilling and melting. You will find all your favourite soft Italian cheeses at Nicastro’s, and because we sell so much, we guarantee there the freshest in the city. ASIAGO is a lightly pressed cheese made from whole milk in small dairies. Pale yellow and springy, with a delicate, sweet undemanding flavour and fragrance. It is used as a table cheese, and as a condiment. GORGONZOLA has a greenish-blue mould that impacts a sharp, spicy flavour that is mixed with a creamy cheese. This blue cheese is used as a table cheese, in dressings, salads, and on pasta or gnocchi. MOZZARELLA DI BUFALA is an oval cheese – wet, shiny and pure white. It’s great in salads, baked on pizzas, also grilled. Flown in fresh from Italy weekly this water buffalo milk cheese has become a store favourite. TALEGGIO originally called “Stracchino” has a rosy crust, but a soft creamy interior. Used as a table cheese, grilling, melting (popular over polenta). BRIE is known for its edible downy white rind and cream colour soft interior. When Brie is perfectly ripe it will ooze at room temperature. We carry a wide variety of Brie with different milk fats. The higher the fat the richer the Brie will be. CAMEMBERT made in Normandy has a fragrant aroma and taste of wild mushroom, with a slightly yeasty, almost meaty taste. CHEVRE LOG is a goat’s milk, creamy, soft-white cheese. It is ideal for hors d’oeuvres, for grilling and melting. COMTE OR GRUYERE DE COMTE is a magnificent, firm, dry and slightly granular cheese. It has a creamy and piquant yet sweet taste. Its uses include table cheese, snacks, canapés, fondues, gratins. ROQUEFORT has a distinct bouquet and flavour that combines the sweet, caramel taste of sheep’s milk with the sharp, tang of the blue mould. Used as a table cheese, blue cheese dressings, and in salads. Appenzeller, Emmenthal, Raclette, Gruyère, Sbrinz, Tete-de-moine. Edam, Gouda, Spiced Gouda, Maasdam. Gloucester, Cheddar, Royal Blue Stilton. Greek Feta, German Cambozola, Norwegian Jarlsberg, and many more! 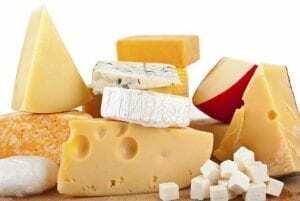 Please visit our store to find a huge assortment of Canadian cheeses. We also sell the full line of award winning Balderson Cheddar. Nicastro’s has always set high standards in our meat department. We guarantee you will be pleased. Traditional cuts of meat will be trimmed for quality and tenderness, and if you want a special cut, just let us know. 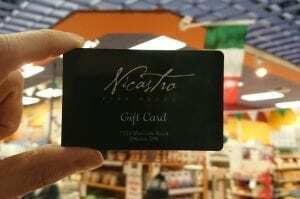 At Nicastro’s you’ll find a variety of meats and poultry…beef tenderloin, kabobs, prime rib roast, lamb, veal, boneless chicken breast and other offerings. Choose from a selection of veal chops, scaloppini, plus a complete selection of pork cuts are also available. Whatever your preference, you’ll find it in the meat counter at Nicastro’s. These fresh Italian sausages made daily have become a local favorite, we’re famous for them. Made with no fillers, dairy, or gluten our all natural pork sausages are made with the same recipe used for the last 30 years. We have a variety to choose from such as mild with fennel, liver sausage and most recently truffle sausage. Sold to many local restaurants and available at our meat counter, these sausages are great on the barbecue or grilled. 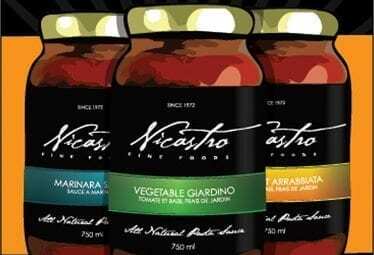 Nicastro’s fresh sauces are prepared daily. From the original tomato basil sauce to Alfredo. 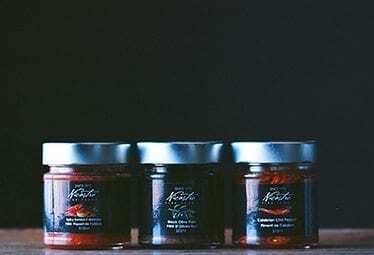 Our sauces are made with the highest quality ingredients, from premium Italian tomatoes to real Parmigiano Reggiano cheese. It’s so easy, the sauces only have to be heated and then added to your pasta for a true authentic Italian dish. Visit our bakery section to find our store made sauces to complete your pasta dinner! We bring in our fresh pasta from Parma Ravioli. We carry spaghetti, linguine, fettuccine, stuffed ravioli with spinach and cheese and lasagna sheets (which can also be used to make cannelloni!). There are hundreds of gift ideas in the store from Espresso coffee makers to Estate Olive Oils and Balsamic Vinegars. Nicastro’s gifts are available in store or can be ordered over the phone at (613) 225-3470. We accept Interac, Visa, MasterCard and cash. Our specialty gourmet baskets contain an assortment of the finest imported and domestic gourmet foods. 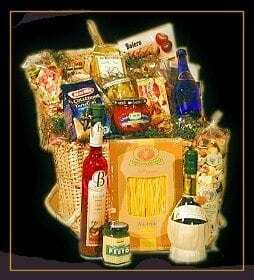 A typical basket might include pasta, sauces, extra virgin olive oils, balsamic vinegar, coffee, biscotti chocolates and much more. 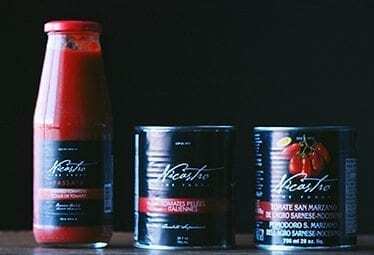 Nicastro’s takes pride in offering premiere brands such as Lavazza, DeCecco, Perugina, Colavita, Lazzaroni, and our famous Nicastro Brand products. Our specialty deli and cheese baskets contain an assortment of the finest imported and domestic gourmet deli meats and cheeses. A typical basket might include brie, stilton, parmigiano cheese, crackers, dry cured sausages and prosciutto. Available in any denomination, at any time. This is the perfect gift for the epicurean person that has everything. The recipient can redeem the certificate in the store or our restaurant. We can also mail out the Gift Certificate with a note that it came from YOU! Corporate discounts are available for large quantity basket orders. Please order as early as possible during the busy holiday seasons. Delivery is available at a nominal charge. Visit one of our basket specialists in store or call (613) 225-3470 to order today.